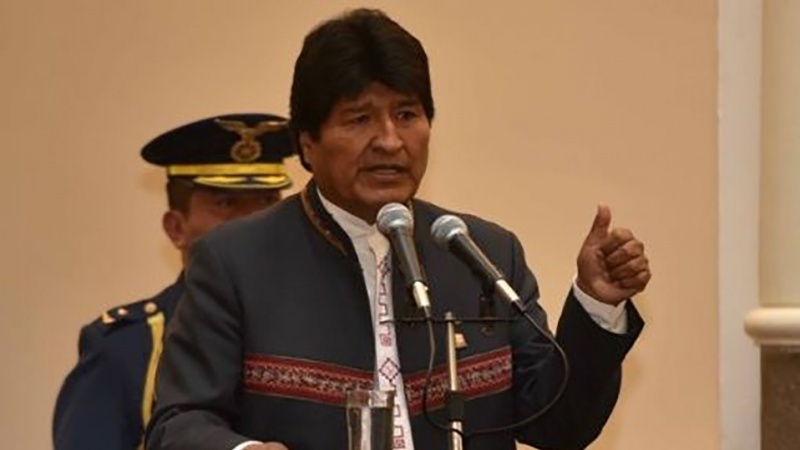 Bolivian President Evo Morales stated that the explosions in Caracas were an attempt of the US and its regional allies to eliminate Venezuelan President Nicolas Maduro. “We resolutely denounce another bout of violence and a cowardly assault on fraternal President Nicolas Maduro and the Bolivarian people. After the failed attempts to remove him from power by democratic, economic and military ways the empire and its lackeys are attempting his life,” Morales tweeted, TASS reported. These explosions are “a crime against humanity” and “only show the despair of the empire, that was defeated by the brave nation”. Venezuelan Communications Minister Jorge Rodriguez earlier said that Maduro’s attempted murder was committed with the use of several drones with explosives. They were activated while the head of state was delivering his speech at the ceremony for the 81st anniversary of the establishment of the Bolivarian National Guard. Rodriguez specified that neither the state leader, not the top government officials were injured in the explosion.